Whether it be a holiday gift from a clueless relative, or colleagues who forgot it was your birthday, there’s nothing worse than a halfway thought-through gift. Finding the right retirement gifts can be a challenging, especially if you’re trying to find a retirement gift for women rockstars who rule their working world. Here are some retirement gift ideas for women that will help you get this hardworking lady something truly meaningful for her next chapter. Here are some things to keep in mind as you consider retirement gifts ideas for women in your life, inspired by what we’ve found to be typically the case in our practice as financial advisors to many highly successful women. Keep this in mind that when shopping for retirement gifts for women who are successful, hardworking, and who rock (in general). The sweet, well-intentioned little retirement gifts for women that people typically give may come off the wrong way. She doesn’t need a watch or wine or even a massage gift card – she can buy all of that herself. Besides, how do you even know what she’s going to be doing after she stops working? 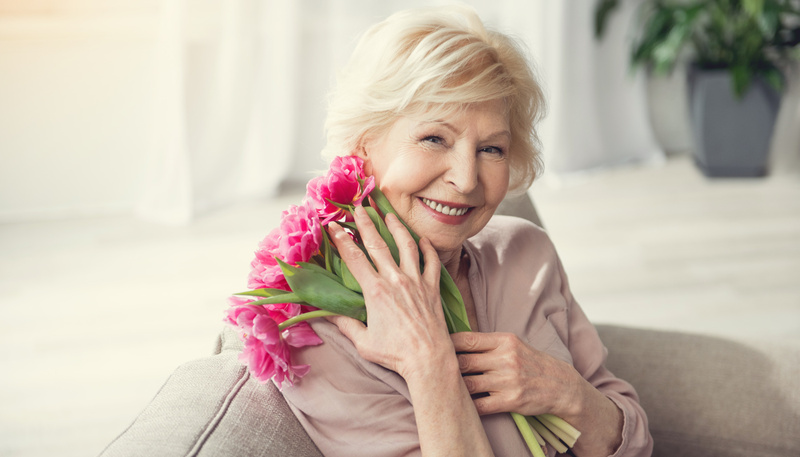 Some of the most successful retirement gifts for women we’ve seen have been inexpensive but very well thought out and take into account what the person sees as the next steps on the horizon after retirement. Put some thought into where she sees herself going and what her future plans may be. Maybe ask her if you don’t know but whatever you do, don’t assume that she’ll be up to anything typical! Another thing to consider is the size of the gift you are giving. In our role helping retirees with their financial lives, we often see people retire and move into a smaller house. There are all kinds of life changes that can be happening at this time and it’s becoming common for people to opt for simpler living options. And now without further ado, here are some of the ideas that topped our list of retirement gifts for women. The concept of “riding into the sunset” in retirement has become outdated. The 65 year old of 2019 has more education, experience, and frankly, energy, than ever before. As such, your soon-to-be retiree need to find something structured to do with her time. If the hardworking woman in your life is exploring what her next steps should be, there’s nothing better than an inspirational book to help her figure out her next chapter. Read our review, for example, of Feel the Fear…and Do It Anyways by author Dr. Susan Jeffers. This book, in our opinion, provide some great insights about what it really means to live a whole life. What a perfect retirement gift for women who are taking the time to figure this out as they embark upon retirement. Also consider giving her a journal to write in. This is a retirement gift for women that can be a valuable tool for helping her keep track of her thoughts and reflections as she explores the new frontier. If the lady in your life has a slew of activities and adventures on the agenda for her retirement, why not gift her an attractive organizer so she can keep track of it all? Organizers may seem old fashioned in 2019 given our device happy society. But, more than ever before, people (and especially those who are taking time for themselves in retirement) are looking for excuses to get away from their screens. If you’re looking for ideas for kinds of information a typical planner of this type should include, contact us for a copy of our retirement day planner. Our clients love it! Don’t forget those good times! A photo book, or better yet, digital photo frame or video montage, is a wonderful way to commemorate all the memories you’ve shared over the decades. This is a suitable retirement gift for women who have achieved and have a ton to be proud of, but maybe haven’t taken the time to rummage through the photo pile. Who’s got time for that when there are milestones to meet! Take this task off her plate and you’ll wow her with a truly meaningful retirement gift. Sentiment not your speed? You don’t need to give a mushy gift if that’s not your style. This next retirement gift for women is one of the more practical ones on the list. If she’s a baker, gift her a really nice bread or cake book with some supplies. If she’s into animals, maybe some cute animal accessories (or a donation in her name to a wildlife refuge). If she’s sporty, perhaps a pass to a yoga studio near her house (or some accessories for her favorite activity). Think about the last time a friend recommended a great book for you to read or a fun new TV show to check out. When you’re turned on to a wonderful resource, there is no better gift in the world. This gift could be a way to help her think about what retirement will look like. If she’s moving out of town, offer her a guidebook to wherever she’s going. If she has no clue how to spend her time, there are some great online resources for her to check out. A couple suggestions include the Sixty and Me Youtube channel, Sightings Over Sixty blog, or the “Glamourous Grandmas” on Instagram. It may seem unconventional, but what an impactful, creative example of a truly practical retirement gifts for women! So there you have it – our list of top ideas for retirement gifts for women. For more information about retirement gift ideas, or just retirement in general, or for a free copy of our retirement planner, please follow us here. « Do I Really Need Long Term Care Insurance?